Welcome back to my monthly newsletter dedicated to highlighting worthwhile websites and apps. This month I discuss websites that provide information from a diverse range of sources. In an era of fake news and bad information, we need to consider our sources. Whether it’s from aggregate reviews, local information from neighbors, acclaimed journalists, or social contributors, we are informed by a wide range of sources. Most people like to be well informed about movies, games, tv, and music before they spend their time and money on them. Finding accurate reviews has never been easier using Metacritic. Instead of rating movies and shows with just one review, Metacritic compiles all the critic’s reviews and provides an overall rating. Dig a little deeper and find what all your favorite reviewers say and you’ll be certain to make the right choice. Nextdoor is a social network comprised of your neighbors. To sign up you must provide your real name and verify your street address. Once you’re part of the community you can see which of your neighbors are registered and you can send postcard invitations to those that are not registered yet. Members can post and browse through categories including “For Sale & Free,” “Events,” “Crime & Safety”. There’s even a directory where neighbors can list their pets! The New Your Times is a premier news source based on peerless journalism. Winner of 122 Pulitzer Prizes (most for any newspaper) and a huge circulation, I highly recommend spending some time perusing the vast amount of content on their website and great mobile app. If there was such a thing as the “opposite” of fake news this would be it. Digital subscriptions start at $9.99 per month. 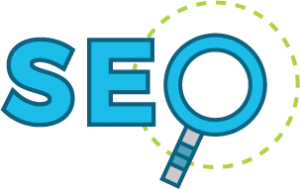 Join Mike Grossman for an SEO seminar at WorkBar in Arlington on April 28 at 5pm. I will cover topics ranging from SEO audits to advertising using Google and Facebook. I hope to see you there!